Purchasing used office cubicles Houston is a smart move. Not only can you get the office furniture you need, but also for an affordable price. You may not realize it, but there is a large selection of pre-owned cubicles available today. This means you can find a wide array of stylish options to choose from. In fact, you may find options from top brand names. Some used office cubicles in Houston you may find include options from HON, Allsteel, Steelcase, and others. Not only is there a huge selection available, but you are also privy to lower prices. Since you are willing to buy used, you don’t have to pay a premium like you do with new options. However, when it comes to used office furniture, the buck doesn’t stop with cubicles. You can find an extensive selection of office furniture. Other items you may find include conference tables, desks, file cabinets, chairs and more. Many businesses utilize cubicles. The fact is, cubicles can help create a productive, organized work space. However, the cost of new cubicles is sometimes excessive for small or medium business owners. However, not all cubicles are created equal. Not only do you need to find good quality, but you also have to determine what is right for your employees. While buying used is smart, it is not the only consideration to keep in mind. Used Cubicles: Are they the Right Option for Your Workplace? There are countless versatile cubicle options on the market today. 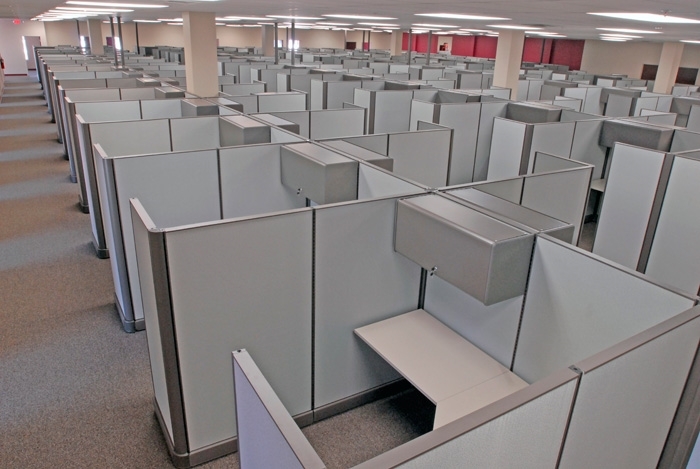 When you buy used office cubicles in Houston, you can save money. However, you are also doing something great for the environment. You can find several cubicle options that are also well-constructed. For example, brands such as Steelcase use a tile and frame system. As a result, you can find used cubicles that match the environment of your workspace. 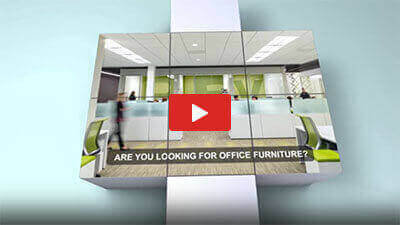 New findings from a survey from Business and Institutional Furniture Manufacturers Association, or BIFMA, have been released. In this study, it noted that approximately half of all used office furniture winds up in landfills. Also, the majority of these items are still good enough to continue using. When you buy used, you are helping the environment. You can also reduce your business’s carbon footprint. It creates a win-win scenario. The majority of businesses just throw out old office furniture. This is done because the cubicles seem outdated. It isn’t done because the items are worn out. The fact is, this pre-owned furniture is still usable. Other business owners can refurbish the pieces. Or, a person can remanufacture the items, rather than sending them to the landfill. When you choose used, you can also make modifications, as needed. You can alter the surfaces and panels on the cubicles to better suit your needs. There are also ways to make them look like new once again. In the long run, you can save thousands of dollars just by buying used office cubicles in Houston. According to the EPA, in 1995 alone, businesses discarded more than three million tons of used furniture. The NAT fee of this was approximately $32 dollars per ton. The disposal costs, which are avoidable, was over $100 million dollars. Also, the Office Furniture Recyclers Forum, or OFRF, showed by remanufacturing just 40 workstations, an entire load of furniture can stay out of the landfill. If you are considering buying new cubicles, reconsider. When you buy used, it is an environmentally friendly option. You can also create the desired atmosphere for your workers. Some people believe that used means low quality. They also believe that there is significant damage present. However, this is typically not the case. The fact is, even if damage is present, most pieces are fixable. This may require refurbishing. With this process, the damage is fixed. When a cubicle is remanufactured, it means it is entirely modified and like-new once again. But both options are offered at lower prices than new cubicles. This means you can save money. Purchasing used cubicles for your office is an easy process. However, knowing where to look help. Do you want to save on your office cubicle purchase? If so, you have to shop smart. When you buy used, you are getting lower prices. But, it is still smart to determine your budget ahead of time. This is especially true if you need to purchase several different pieces of furniture. After all, even used cubicles can cost several thousand dollars. When you know what you have to spend, you can avoid overspending. What do Your Employee’s Want and Need? It is important to consider employee’s needs before you make a purchase. Consider who is using the cubicle. Do they have any special work needs? If so, make sure to accommodate this. In most cases, if you neglect this, you may create a workspace that isn’t productive. Don’t let this happen. By finding out the type of workspace your employees are comfortable in, you can eliminate this problem. Also, make sure to consider the size of the cubicle you purchase. In most cases, this requires you to carefully measure the office space available. Being informed ensures you get the right cubicles for your office and your employees. Buying anything used helps you save money. However, you still have to consider quality. If an item is priced significantly lower than other items, it may have damage or a flaw. Make sure to take note of this. Being informed and buying from a reputable seller can help you avoid subpar items. Are you ready to buy? Make sure to consider all the factors here. This is the best way to get the cubicle you want and need. If you don’t do this, you may face serious consequences. In fact, the wrong work space can lead to an uncomfortable working environment. Remember this when you are planning your purchase of used office cubicles Houston.